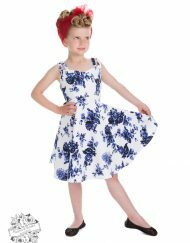 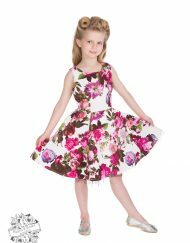 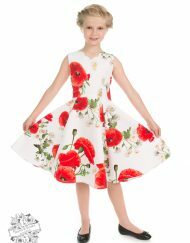 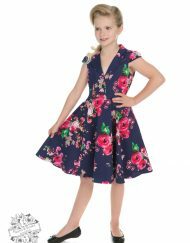 Combining supreme quality with an authentic retro look, these 1950s style girls dresses assure a cute retro look for your little one at parties and special events . 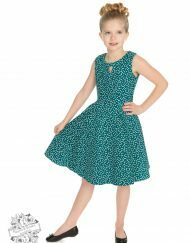 A classic fit and flare cut to knee length, and the flared skirt allows for the addition of a petticoat. 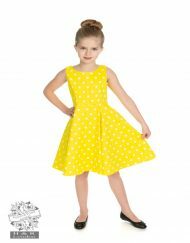 Stretchy Fabric For A Perfect Fit. 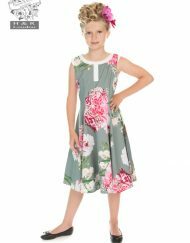 Floral Print to Ensure A Unique Retro Look. 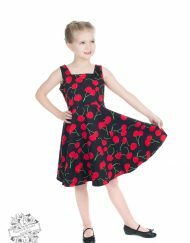 Zip Fastening For Ease Of Fitting.